Join Angus for a walking tour of Arthur’s Seat and Holyrood Park at any time of year. There are many options for short or long visits: a fairly strenuous climb to the summit, or a more gentle low level route. Early morning walks, evening walks, sunset walks … lots of possibilities! There’s no minimum number, I can do a tour for one person or for twenty-five. See outline costs below, but please get in touch to discuss your requirements. Tour 1 – Red route Climb to the summit of Arthur’s Seat, along unpaved paths with some steep, rocky sections. A leisurely circular route via Salisbury Crags, with fantastic views. Tour 2 – Blue route A more gentle alternative walk, experiencing the highlights without too much effort! 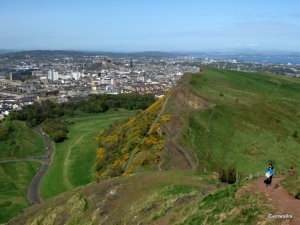 Circular route around Salisbury Crags with great views of Arthur’s Seat and the city. Any Questions? Please don’t hesitate to get in touch! (Contact details). The tours described above start from the foot of the Royal Mile (the Canongate), near to the Scottish Parliament. 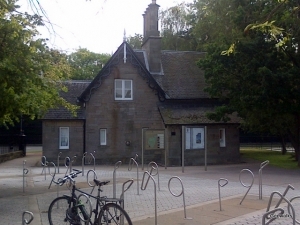 The meeting point is usually outside the Holyrood Park Visitor Centre, which is a small stone building on Horse Wynd, opposite the public entrance to the Scottish Parliament. Other routes and start points can be arranged. 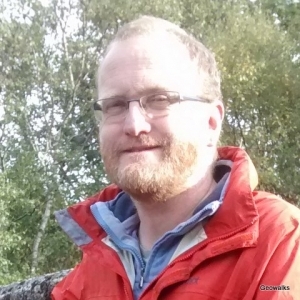 I’m Angus Miller, and I’ve been leading tours in Holyrood Park for more than 20 years. Join me to explore the extinct volcano in the heart of Edinburgh. I can take you to the summit of Arthur’s Seat for great views of the city or we can take a lower level, more relaxed walk to some of the quieter parts of the park. Guided tours for small groups are available all year. Climbing to the top of Arthur’s Seat and back takes about two hours, or you can choose a low-level, easier option. Get in touch to find out more. Once your booking is confirmed, you can pay using Paypal. Click the button below and enter walk details and amount on the next page. You can pay by card and you don’t need a Paypal account.